Outstanding color range, bright, crisp, acid free colors in an extraordinary value priced set. 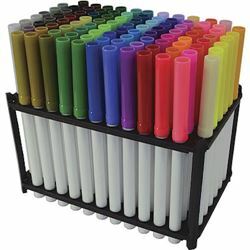 One hundred different colors, fine point pens, sold in a convenient storage tray. Conforms to ASTM D-4236.